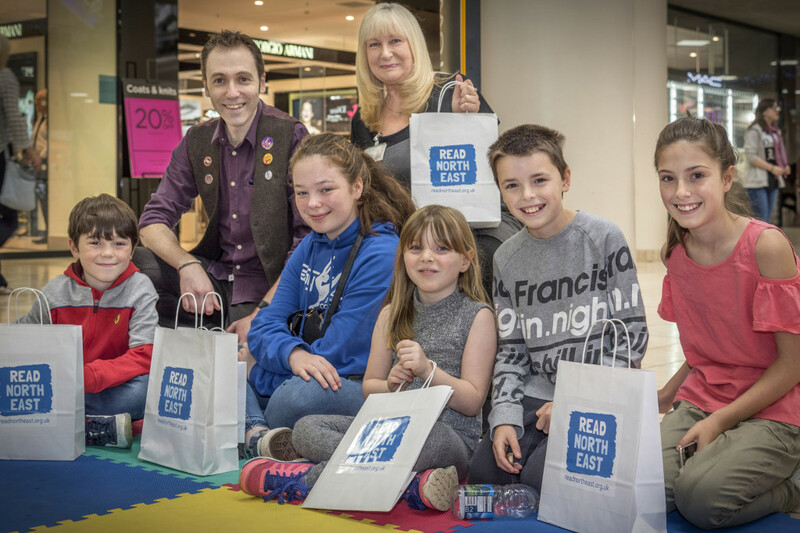 It was a pleasure to be part of The National Literacy Trust’s Read North East event at the Metrocentre this half-term. It’s a scheme to raise literacy levels and encourage parents to talk and read with their children. 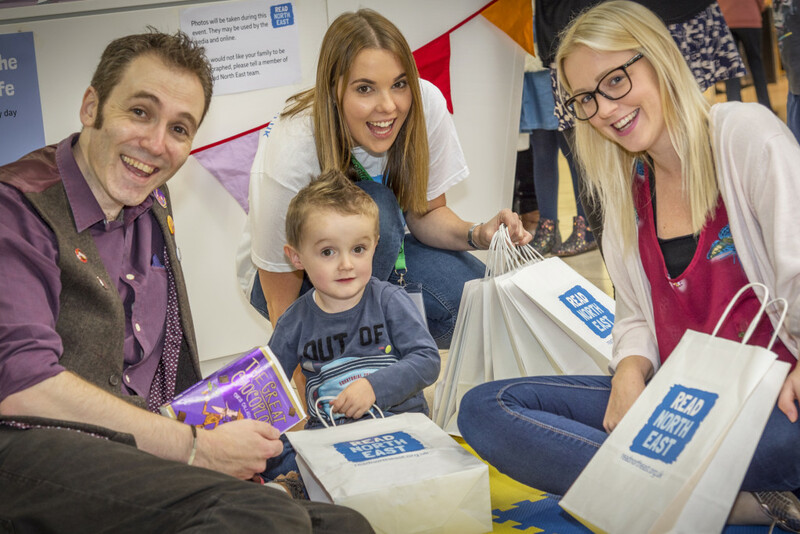 The Trust’s team and library staff frantically gave out free books to shoppers while I read to groups of children, in-between appearances of star attraction Peppa Pig! 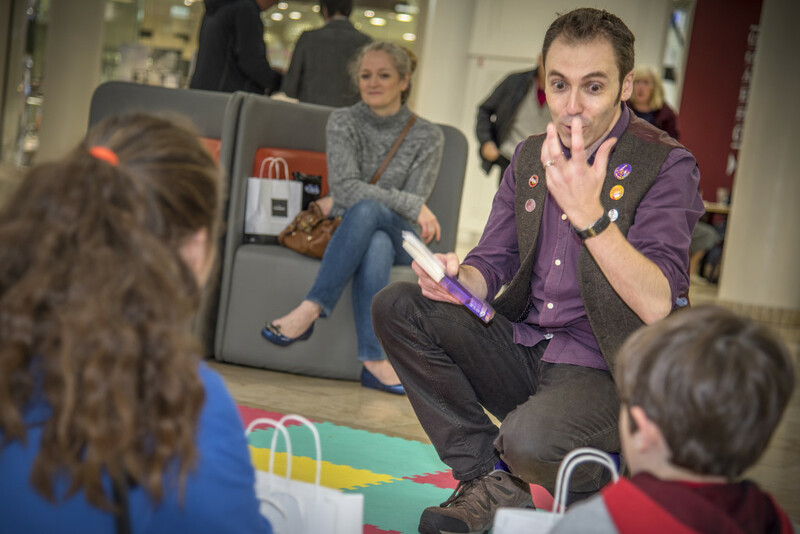 I’ve never told stories in the middle of a shopping centre before, so it was quite an experience! Thanks to everyone who stopped by and to some familiar faces who were kind enough to come along to say ‘hello’. Thank you to the Literacy Trust and Gateshead Libraries for hosting such a wonderful scheme. For more details of future events, please check the link here. Thanks also to David Allen for these fantastic photos. 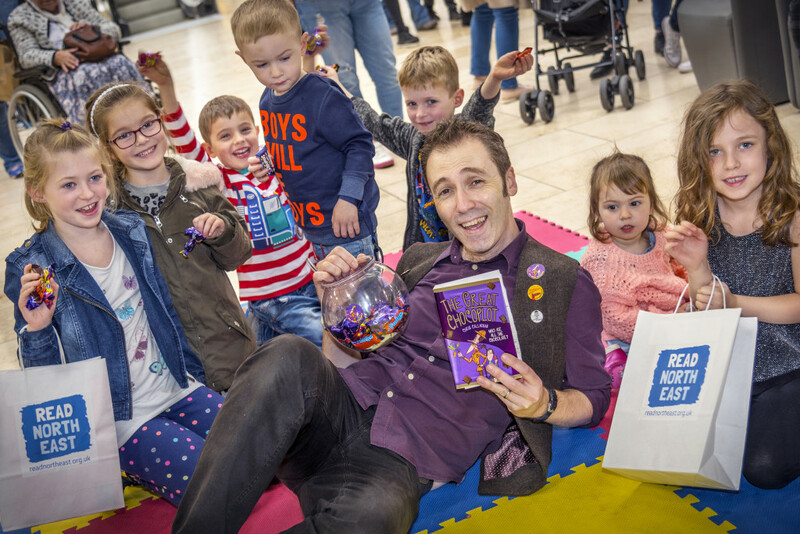 Is it my storytelling or free chocolate they like? Lots of shoppers stopped by. Never too young to enjoy reading!